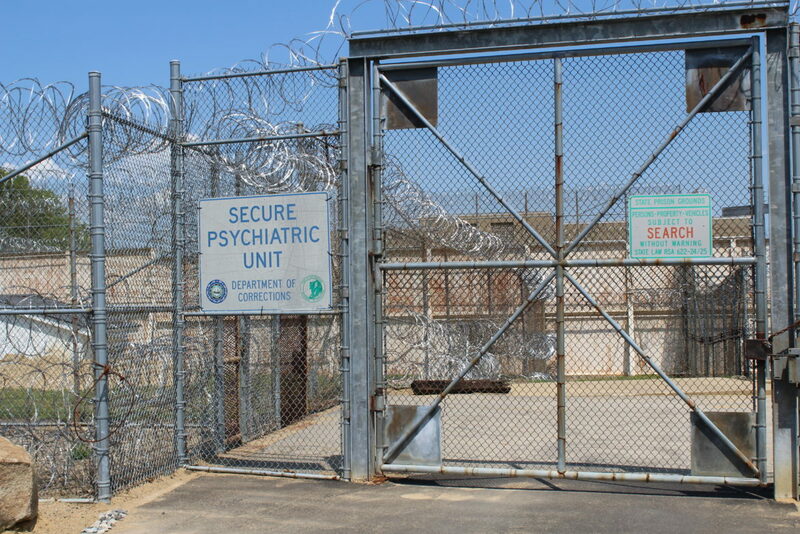 CONCORD – A federal magistrate judge has ordered a court-appointed attorney to represent a Secure Psychiatric Unit patient for free in his lawsuit against Gov. Chris Sununu, the Department of Corrections and Health and Human Services. Anthony Heath, 32, of Milan, claims his civil rights are being violated because he is held in the Secure Psychiatric Unit at the men’s prison, although he was found not competent to stand trial and hasn’t been convicted of a crime. The lawsuit filed in U.S. District Court by his mother, Nancy Heath, claims he should be transferred to the New Hampshire Hospital, the state’s psychiatric facility to obtain appropriate mental health treatment. Magistrate Judge Andrea K. Johnstone said plaintiffs in civil suits do not have a right to counsel except in special circumstances. “The court finds that the circumstances presented here, however, warrant the appointment of counsel to represent the plaintiff in this case,” Johnstone wrote. The court has discretion to deny a motion for counsel “absent a showing that ‘exceptional circumstances [are] present such that a denial of counsel [would be] likely to result in fundamental unfairness impinging on his due process rights,’” Johnstone wrote. Her order directs the court clerk to attempt to find a lawyer willing to represent Anthony Heath pro bono using the list of attorneys registered to file documents electronically in this court. “Counsel shall be notified that she or he is free to decline the request without consequences,” Johnstone wrote. The judge said counsel may seek payment for expert expenses up to $5,000. Although individuals are allowed to represent themselves in civil cases, the court said unlicensed laypersons cannot. So Nancy Heath, who has no legal training, filed motions seeking a pro bono court-appointed attorney for her son. She was pleased with the federal court order. “It seems like something is finally going to happen,” Nancy Heath said. Nancy Heath wrote that individuals who are civilly committed to the prison unit are strip searched and their body cavities inspected. She said that her son’s Fourth Amendment rights were violated when Department of Corrections employees monitored his phone calls, read his personal correspondence, searched his cell and performed strip searches of him in front of female correctional officers. “Anthony Heath has been incarcerated in a maximum security prison, while having never received appropriate mental health treatment in violation of” the Americans with Disability Act, the lawsuit says. During his first eight months, her son was held in a cell 23 hours a day, the lawsuit states. She had also complained that her son was tasered because he refused a non-emergency blood draw when he first arrived. Anthony Heath was involuntarily committed about two years ago for up to five years as being not competent to stand trial for a first-degree assault and a second-degree assault charge in separate incidents in 2015. The charges have been dropped, but Nancy Heath said they could be reinstated in the future. Gov. Sununu’s spokesman did not respond to a request for comment. Kate Spiner, spokesman for the Attorney General’s Office, said she would pass on InDepthNH.org’s request for comment. The story will be updated when the comment is received. Advocates hope the civil lawsuit will change the state’s policy of locking up people who are not convicted of a crime in the prison psych unit if they are considered too dangerous to themselves or others to be held at the New Hampshire Hospital. Anthony Heath has not been deemed dangerous while being held in the unit, according to the lawsuit. Beatrice Coulter, co-founder with Wanda Duryea of the Advocates for Ethical Mental Health Treatment, hopes Heath’s case will prompt changes in how New Hampshire treats mentally ill patients. In a separate court matter, Nancy Heath is fighting to maintain guardianship of Anthony. The state wants Anthony’s guardianship transferred to the Office of Public Guardian, arguing that her son is hostile toward her and bullies her, but Nancy Heath insists that is how they sometimes communicate. Nancy Heath visited with her son last Thursday as they awaited a hearing in the small Probate Court room at the New Hampshire Hospital where she is fighting to maintain guardianship of Anthony. He was brought to the court from the prison wearing a prison uniform, handcuffs and leg shackles. It was the fourth and final hearing on Anthony’s guardianship before Judge Barbara Maloney. Again, Nancy Heath asked the judge to allow InDepthNH.org and state Rep. Peter Schmidt, D-Dover, into the hearing, but was denied. In the past, Maloney has also denied them and Rep. Renny Cushing, D-Hampton, into the guardianship hearing. Cushing has long fought the policy of locking mentally ill people in prison who haven’t been convicted of a crime. Maloney has yet to rule on Anthony’s guardianship. Besides Gov. Sununu, the lawsuit also names Department of Corrections Commissioner Helen E. Hanks and Health and Human Services Commissioner Jeffrey Meyers.